Enter the HGTV My Lottery Dream Home Sweepstakes by registering daily at hgtv.com/mediacom through March 22, 2019 and you could win a $1,000 weekly prize. Plus, you could win the grand prize of $10,000 cash. 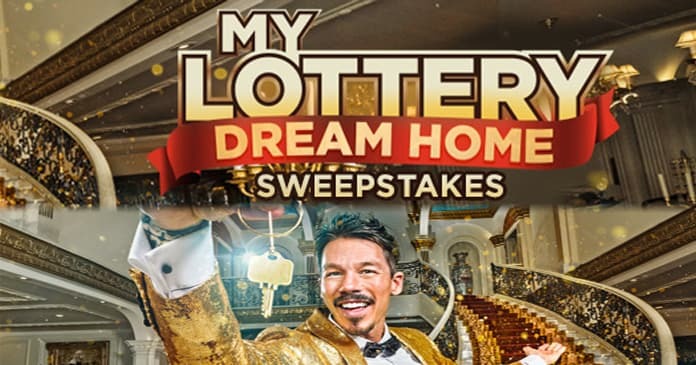 The HGTV My Lottery Dream Home Sweepstakes is open only to legal residents of the 50 United States and D.C. who are (i) 21 years of age or older as of the Promotion start date and (ii) current Mediacom subscribers as of February 10, 2019. The Sweepstakes begins at 9:00 a.m. ET on February 11, 2019 until 5:00 p.m. ET on March 22, 2019. Limit of one (1) entry per eligible person, per day, during the Promotion Period. The grand prize consists of $10,000 presented in the form of a check. Visit hgtv.com/mediacom to enter and see Official Rules for details. Wow lottery Dream Home ???? ?